When Alice Love surfaces from a beautiful dream to find she's been injured in a gym, she knows that something is very wrong – she hates exercise. 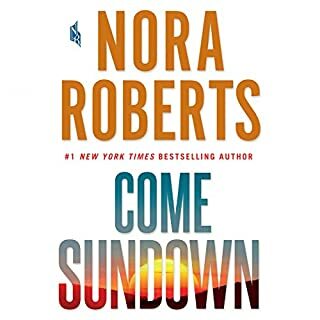 Alice's first concern is her baby – she's pregnant with her first child, and she's desperate to see her husband, Nick, whom she knows will be worried about her. But Alice isn't pregnant. And Nick isn't worried. Alice is the mother of three children and her hostile husband is in the process of divorcing her. Alice has lost ten years of her life. In the days that follow, small bubbles of the past rise to the surface, and Alice is forced to confront uncomfortable truths. It turns out forgetting might be the most memorable thing that's ever happened to her. This was a really enjoyable book. A fascinating premise of a woman who loses 10 years of memory and is shocked by the woman she has become. The story unfolds as she adapts to the world created by her 'new' self and those around her adapting to her 'old' self, all while snippets of her memories return. This will make you laugh and cry and think about what decisions have made us the people we are now. Caroline Lee is a wonderful narrator and this book was a joy. 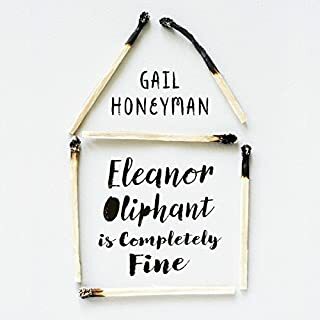 I absolutely loved this book, in fact I have enjoyed every Liane Moriarty novel I've read. Caroline Lee reads with a refreshing Australian accent. Addictive , hard to put down. Fabulous story lines and integration of characters. 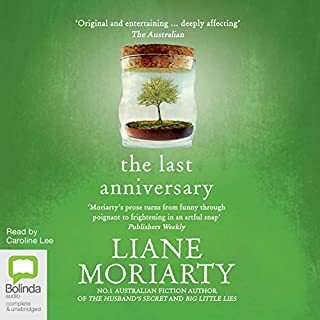 it was listenable, but dragged on a bit, imo not as good as others by Lianne Moriarty i have read. Took me a while to really get into this story, but then I looked forward to listening each day. 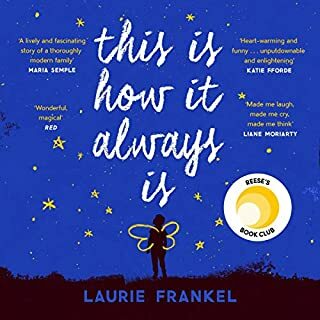 This story is a great example of how we can get caught up in the hurry of life, and we shouldnt wait for something drastic to happen before we stop to appreciate everything we have. 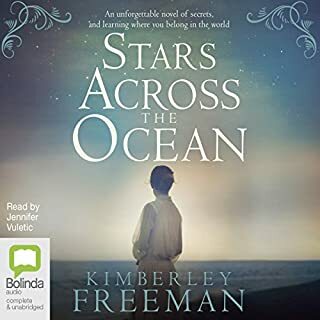 I really enjoyed the characters in this book and the clever plot. I thought the idea behind the book was incredibly clever. This book raised issues common to many married or committed persons. Very readable and relevant. the narrator is great. story line ok. struggled in the beginning but turned out to be a resonable story. A wonderful reshreshing honest and beautiful book. 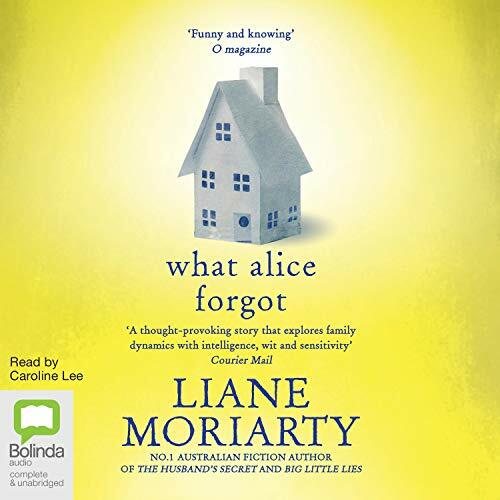 Would you consider the audio edition of What Alice Forgot to be better than the print version? What other book might you compare What Alice Forgot to and why? Made me laugh and cry. Made me rethink about my fixed ideas on people and who Inam and should be. 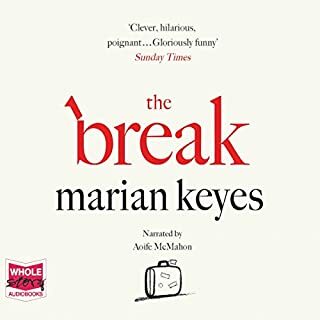 Highly recomendable, light and witty at the same time, unputdownable book!!! Love the reader. Would you listen to What Alice Forgot again? Why? I loved the concept of the book. It was so well written and believable. 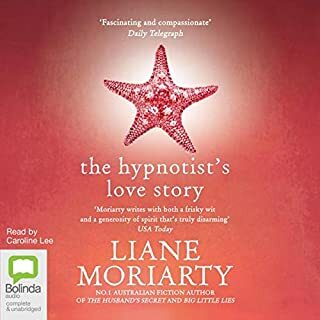 I'm just new to listening to Liane Moriarty and I lust love her stories! 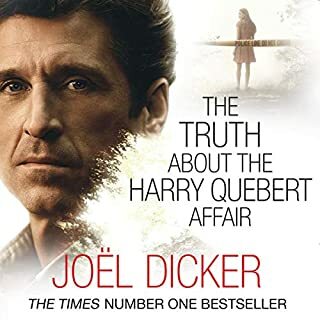 This is my second book of hers, I listened to My Husbands Secret and loved that's. This one I enjoyed more and didn't want it to end. I could hardly stop listening. The story seems very true to reality. I love the way the author interprets her characters, so honest and sometimes very funny. And of course I love Caroline Lee as a reader. It's so easy to listen to her. She is a very talented lady. Really enjoyed this book. It was engaging, the characters were well described and realistic. In book form I would have found it hard to put down. I truly enjoyed this book! 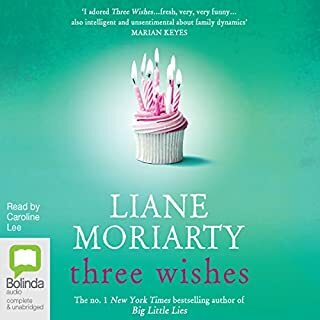 It’s the first time I read something written by Liane Moriarty and I feel I won the lottery! The story is nicely written and truly relatable, the characters are lovable, and the narration is nicely accomplished. I can’t wait to tackle more books from this author! 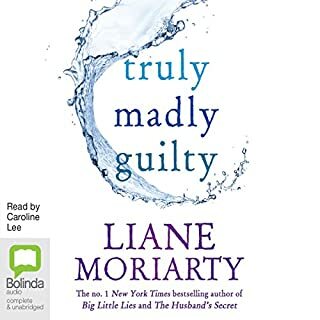 I really enjoy Liane Moriarty's books, and this one did not disappoint. I love the narrator and her performance of the characters. Rediscovering Alice's world with her was emotional and an interesting journey. 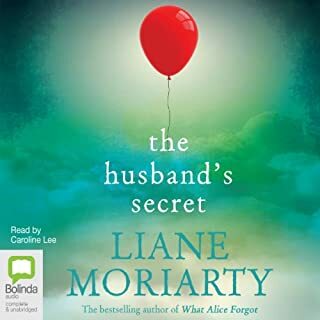 One of my favorite of Liane Moriarty's books, I have just listened to this for the second time. Entertaining reflection on families, live, being a parent and love overt time. One of Australia's favorite authors, I'd you haven't read this do so immediately! Good, but not as great as her others. 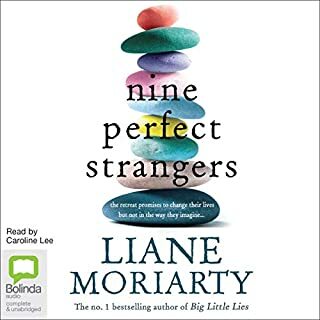 I expect a big exciting twist in liane moriarty books, and this one didn't really have one! The conclusion felt like a bit of an anticlimax. As usual though, a Step above the usual chick lit with likeable characters and an engaging story. 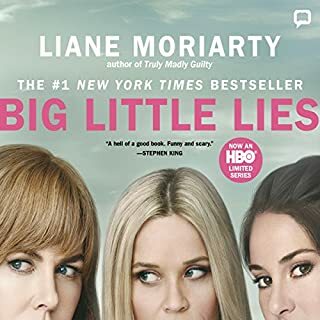 Would you try another book from Liane Moriarty and/or Caroline Lee? I am sorry but this narrator's voice is just plain annoying!! I really cannot understand how this was produced with this narrator! Please re-record!! What made the experience of listening to What Alice Forgot the most enjoyable? 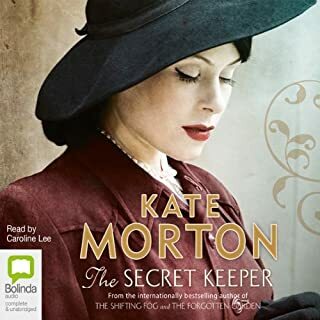 The narrator Caroline Lee makes this book. She bring all the characters to life. The story is really easy to listen to and very funny in parts. The story is really easy to listen to and entertaining. I have now listened to two books by this author and have enjoyed both. The narrator, Caroline Lee, is very good particularly when reading the children's parts. It is a story about a family and a marriage set in Sydney, Australia which makes a change from the usual USA or UK. The story is satisfying with a good beginning, middle and end. What more can you ask for unless you are wanting something highbrow to listen to? What a moving and entertaining book!! I loved this and it's not my usual sort of read. I chose it after reading Little Lies, which I enjoyed but this was even better. 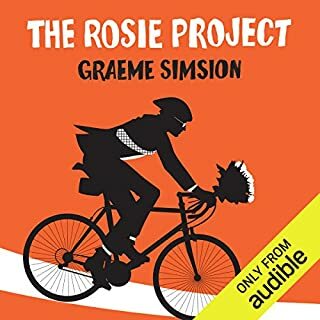 What could have been a very contrived story line was rendered captivating by the freshness and humour, beautifully brought to life by the narrator. It would be hard to read without considering what our ten-years-ago self would think of us now! If you could sum up What Alice Forgot in three words, what would they be? Which character – as performed by Caroline Lee – was your favourite? If I could have done. I would have. A really excellent book. I want another to listen to now!! How she came to realise how much she had changed over the last 10 years. How it changed how she veiwed others, how other people viewed her, and her outlook on life. It really made me think how I might have changed over the last 10 years!! I sort of guessed how the story might end but it was still nice to hear the happy ending - and for her sister too. What other book might you compare What Alice Forgot to, and why? Possibly, 'Before I go to Sleep' only because the main character in that had also lost her memory, but the story lines were quite different. What three words best describe Caroline Lee’s performance? Really good book and worth reading, but only listen to it if you can endure the narrators irritating voice!! Sometimes we all need a wake up call like this! The first half of the story dragged somewhat but the second half became more interesting as it unfolded. 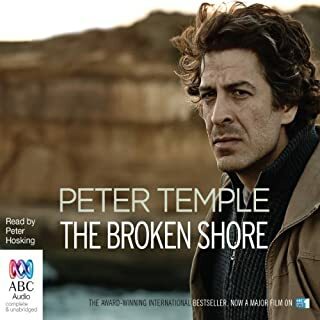 The most difficult thing about sticking with it was the narrator's voice and characterisations. It had nothing to do with her Australian accent....her voice was very strident, and it was also quite difficult to differentiate between the different female characters except Alice, she did try to soften her voice for Alice. 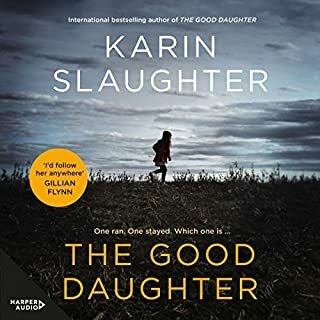 I really to think that I couldn't continue after about halfway, but the storyline, although not startling, started to become a little more interesting. 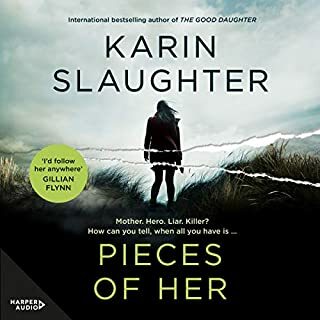 I really enjoyed this book, i felt quite emotional towards the end, and I enjoyed all the characters subplots and storylines. This is an excellent listen/read. An unusual story, not predictable (apart from the end as it came along). Really good, likeable characters.